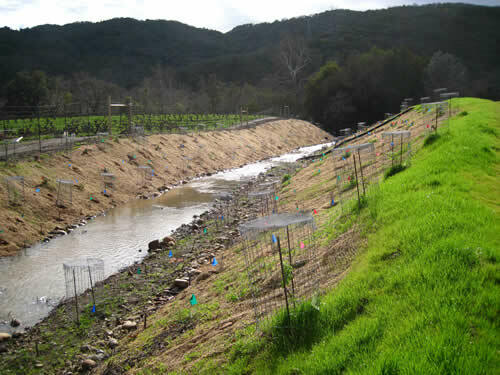 Waterways provided geomorphic assessment, land surveying, and engineering design services for ecological enhancements to a degraded reach of Sycamore Creek, at the confluence with Uvas Creek. 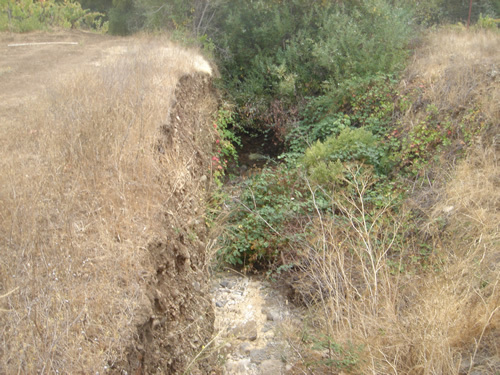 The design included recontouring channel banks and the creation of inset floodplain benches to reduce erosion. Native vegetation was established on graded areas. 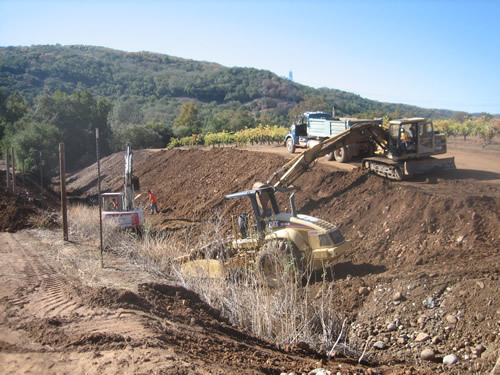 Hydraulic control structures installed at the project included periodic boulder weirs and stilling pools for energy dissipation and a sheetpile cutoff at the project terminus. The detailed grading plan allowed for the retention of mature riparian trees within the project footprint.